How do you maximize profits in today’s tough economic environment? For the last several years, cost cutting, even if it increased operational risks, was the answer. However, today many manufacturers have reached a point where there’s nothing left to cut and the old adage that it takes money to make money comes back into play. According to a recent survey of CFOs, many are shifting their focus to improving operational efficiency and looking at which of their business practices can be done better and faster. This may require an upfront investment to realize long-term savings. One area that small and medium size manufacturing companies should look at is document management. 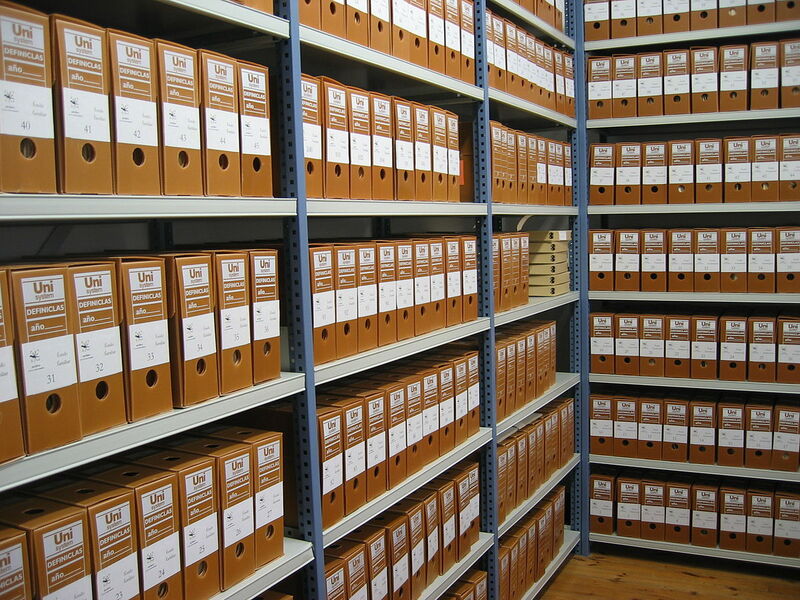 For instance, is storing documents on-site to avoid records management fees really the most efficient solution? Perhaps your team should take a look at the benefits of going paperless. According to a report from the Association for Information and Image Management (AIIM), roughly 7.5 percent of all documents are lost and at least 3 percent of documents are misfiled at least once over the course of their existence. In the same study, they determined that companies spend $20 in labor to file a document, $120 to find a misfiled document, and $220 in labor to reproduce a lost document. Add into these figures the ongoing overhead costs and the opportunity costs of not being able to use that real estate to generate revenue, and the cost savings of DIY document storage begins to diminish. Security Concerns – Is your data protected against theft, vandalism and unauthorized access? Is a simple door lock or padlock sufficient to guard against disaster? Privacy – If you’re in a highly regulated industry, are you able to comply with complex regulations and audits? With the advent of Sarbanes-Oxley records retention requirements, HIPAA, HL7, SWIFT, and a host of other state and federal regulations, manufacturers are required to retain, protect and report on more data than ever before. From general threats of identity theft to the need to protect proprietary information, you need to make sure your data is both easily accessible in case of an audit and accessible to those authorized individuals who need it. Does your warehouse full of file cabinets, corrugated boxes and microfiche/microfilm meet these requirements? Environmental Threats – Are those file cabinets and corrugated boxes actually food for a variety of varmints at your industrial site? Have you invested in the environmental controls needed to protect your documents from temperature extremes, humidity, or even just a leaky roof? These day-to-day concerns don’t even take into account threats such as tornados, earthquakes, floods and the like. In the event of catastrophe, insurance will help but the loss of large quantities of documents can’t be replaced by an insurance check. Most manufacturing companies today create both paper and electronic records in the course of every day operations. These hybrid records can be particularly challenging to keep track of, particularly if you have multiple locations. Professional records management performed off-site takes many of the headaches and worry out of finding the best way to control and manage the information your business generates. Converting all of this data to a digital format provides a logical, accessible records management system where every stakeholder can be sure that they are getting all of the latest information available, regardless of the source. Once your records are digitized and organized, most professional records management companies provide 24/7 monitoring in a safe, secure location. When you need your records, getting access is as simple as submitting a request via phone, web, text or email, and you can have them delivered electronically or physically to your office. You also have the benefit of leveraging your records management provider’s investment in the latest technology and equipment. 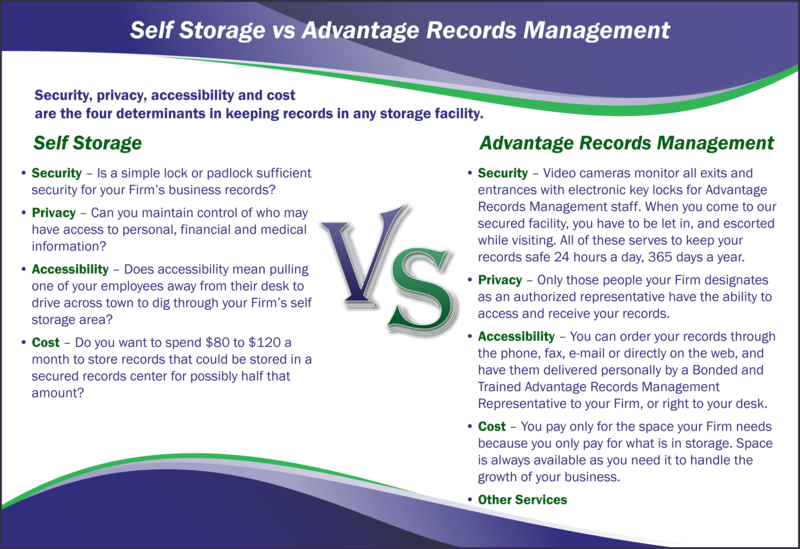 Best of all, you can use your facility to generate revenue rather than running a storage facility. For more information about professional records management, contact Advantagte IMS for a consultation. Why Digitize Your Manufacturing Project Files?